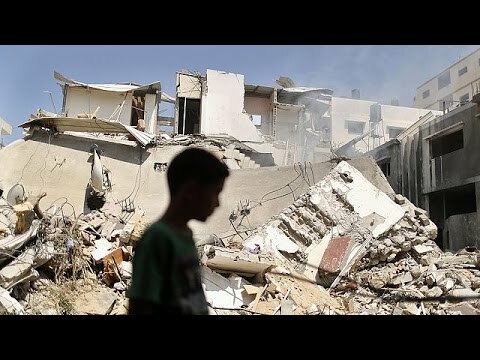 There is a “strong possibility” that Israel has committed war crimes in the Gaza strip, according to the UN’s top human rights official. Navi Pillay also condemned Hamas and other Palestinian groups for indiscriminate attacks. Israeli forces have continued to pound the Palestinian territory, with thousands of civilians reportedly fleeing its ground offensive. This entry was posted on Wednesday, July 23rd, 2014 at 7:35 pm and is filed under INTERNATIONAL SECURITY. You can follow any responses to this entry through the RSS 2.0 feed. Both comments and pings are currently closed.